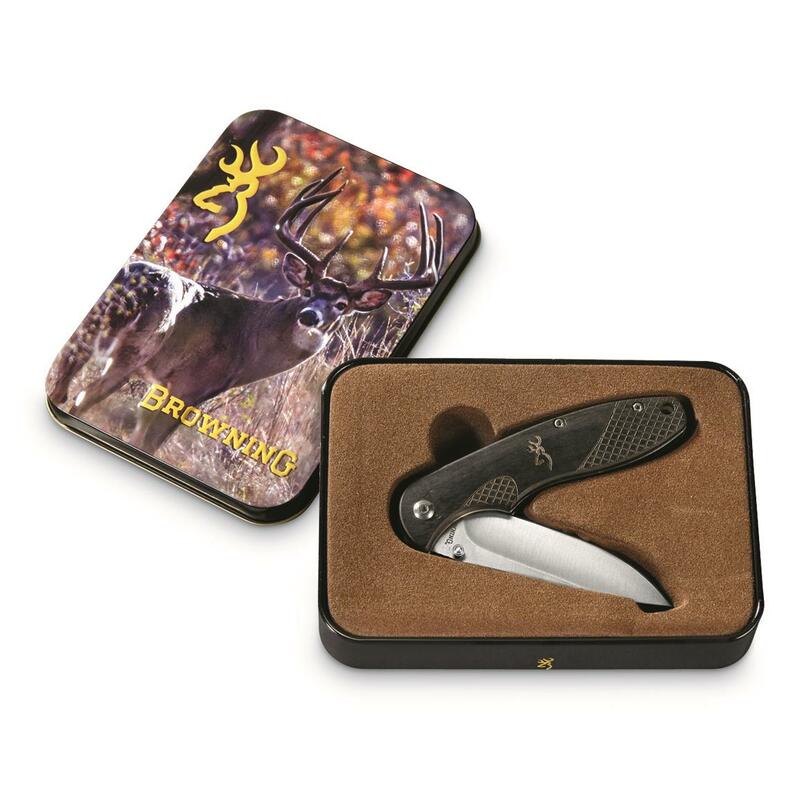 Everyday folding knife, in a collectible tin. 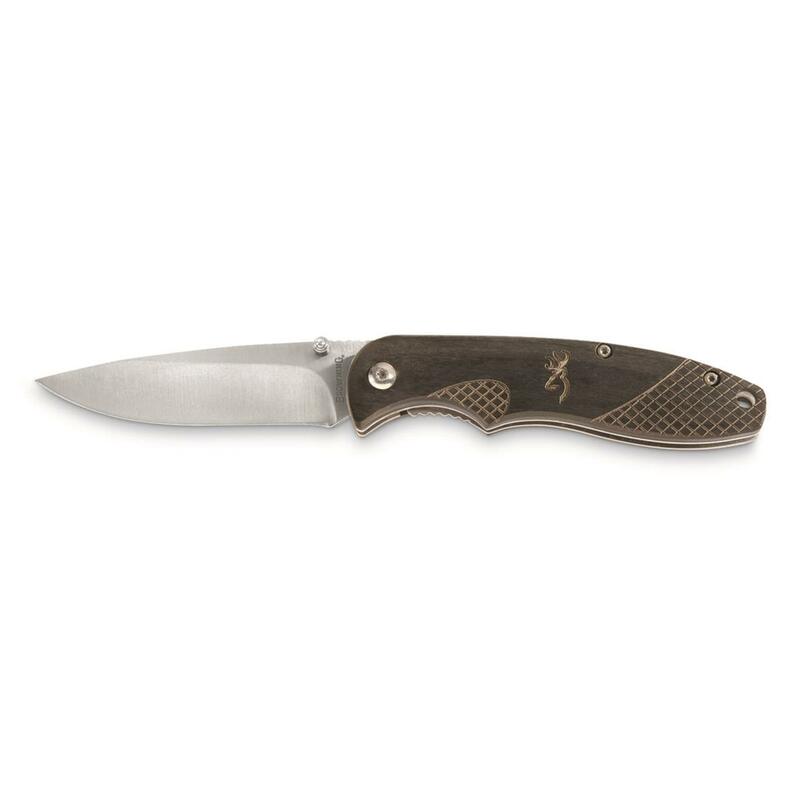 A handy, general-purpose everyday carry knife from the legendary outdoor experts at Browning. Collectible Tin features a majestic whitetail deer, sure to bring your mind back to where it belongs. Get it for your pocket, or your collection.